Sometimes your eye falls on an image and you are virtually transported back in time. It was in the early 1960s when President Kennedy told us that James Bond novelist Ian Fleming was one of his favorite authors. Somehow that got me interested and over the coming years I read all of the 007 novels. 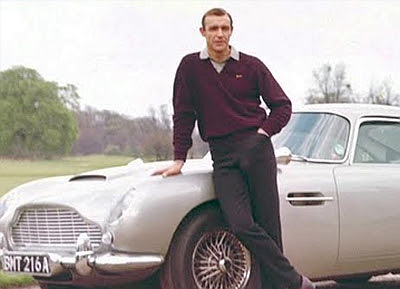 Knowing my love of all things Bond my older brother took me to Goldfinger - my first Bond flick. Over the years I came to love the classy spy persona of Flemming's 007. Sadly, a few years ago the folks who own the 007 brand introduced a thuggish version and replaced class with crass. Even so, when I think of Bond I will always flash back to the times when my nose was buried in a Bond book as I rode on the Staten Island Ferry. 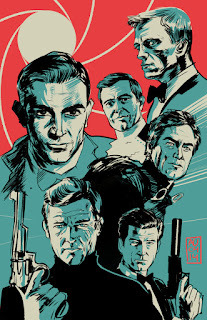 FYI - my favorite 007 was Brosnan not Connery.